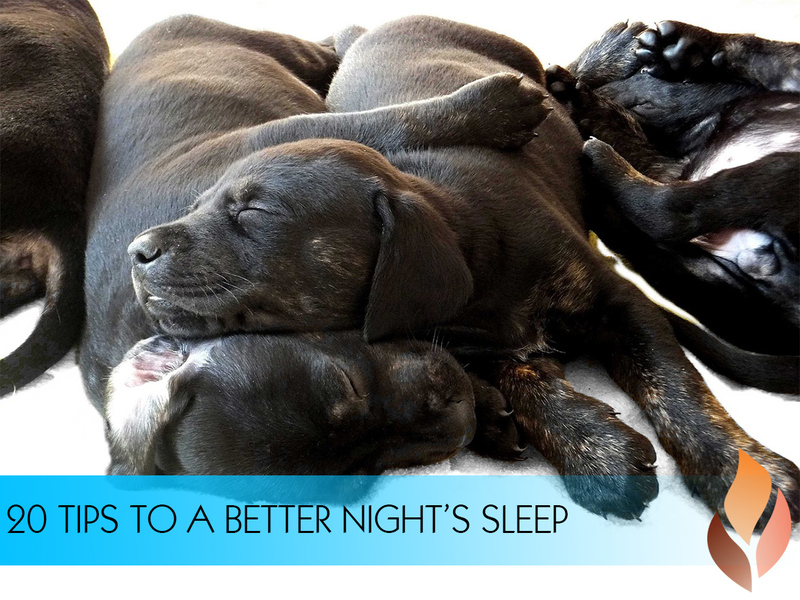 Home » Events and Blogs » Blog » 20 tips to a better night’s sleep! 20 tips to a better night’s sleep! It’s amazing how dependent our bodies are on sleep, with the optimal amount between six and eight hours per night for most adults. Sleep is a rather mysterious element related to health and most people forget that it can have quite an impact on our well-being. Too little sleep or too much sleep can have an adverse effect on your health. It can cause you to feel weak and exhausted as well suffer from memory loss and be unable to concentrate. Interestingly enough, people aren’t aware of the impact that disrupted sleep can have on the body. Not only does your mind struggle, but your body as well. For example, when your circadian rhythms are disrupted, your body will produce less melatonin which then has less ability to fight cancer. This is why tumors grow faster when you sleep poorly! Impaired sleep can also play havoc on your stress levels. It doesn’t matter whether you have difficulty falling asleep, waking up too often or not feeling like you’ve slept when you wake up in the morning – improving your quality of sleep is VITAL to your health! 6. Reserve your bed for sleeping – no working or watching TV in bed! 12. No TV, electronics or work at least one hour before bed.